Growing up as a preacher’s kid, I did not think that the words “ministry overload” existed. I watched as my parents cooked meals, prayed for people, served by teaching and always did it with a smile. I was immersed in the “culture” of ministry and honestly didn’t know any different. I loved the culture and was so excited when last fall God basically planted a ministry in my lap. I was in a season where my personal “quiet times” were scarce, so I was very excited when my church began doing the study Seamless by Angie Smith. I was going to learn the Bible as one complete story, and my dry season would be over soon. My personality is the type that needs accountability to actually finish something so when my friend, Jamie, and I chose to do it online for our out-of-town friends, God decided to bring over 9,000 women to walk through the study with us! Overwhelmed was an understatement, but I love an adventure and wanted to be a good steward of the community He brought together for His purpose. By the third week of connecting with these women, the requests started coming, and I wondered how in the world I would help, respond and pray for everything coming my way. I serve in my local church, work from home, raise my two boys, and now the responsibility of this community was starting to get to me. Immediately, I looked up 1 Corinthians 12:27 (I totally Googled it). God knew I needed to be reminded of the all part. I was putting so much pressure on myself and worrying that I wasn’t helping or doing what I thought was being requested of me. I was saying “Yes” to everything in my life, and this was the moment where I needed to sit down and write down what I felt God was calling me to. He wasn’t calling me to be both His hands and feet, but He had a very specific calling and ministry for me to fulfill. If I tried to do it all, not only would it mess up someone else’s chance to do it, but it also kept me too busy to focus on what He had called me to do. My mindset shifted and I began to put my energy and time into the ministry I truly feel like He designed me to lead. Also, I realized that just because it was a good thing to do or be a part of, didn’t mean I had to. To be the hands and feet of Jesus, we all have to be laser focused on our talents and gifts, and pour that into where He leads. Our job isn’t to be perfect and respond to everything; our job is to point everyone to the One who beautifully designed us. 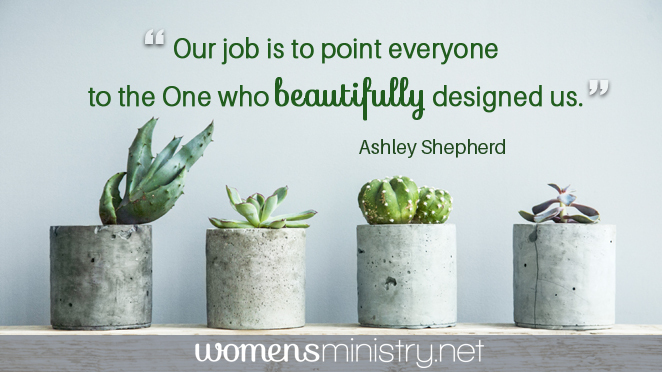 → Ashley shared more about how God grew the Beautifully Designed online Bible study with members of womensministry.net in this audio podcast. Not a member? Click here to discover the benefits of membership. 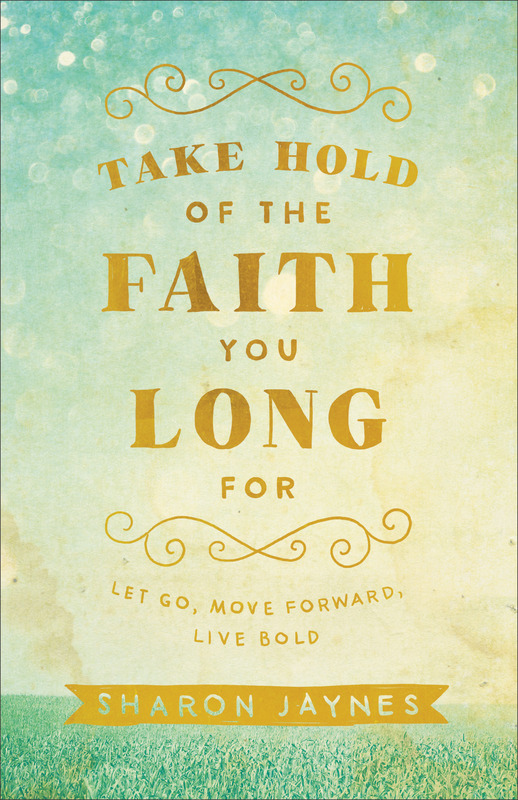 BONUS: Leave a comment sharing how this post has inspired or encouraged you and be entered to win a copy of Take Hold of the Faith You Long For by Sharon Jaynes. Winner will be randomly selected from comments left by August 3, 2016. Ashley Shepherd has always had a heart for women’s ministry and in the fall of 2015, when she and her friend, Jamie, launched an “online” Bible study she had no idea this would become her new purpose. Over 9,000 women joined them online and Ashley quickly knew that God was raising up His daughters from all over the World to find their identity in His. The Beautifully Designed community now has over 14,000 women and Ashley believes that her struggles with anxiety and insecurity are now being used for His glory. Connect with Ashley at beautifullydesigned.com.